Our final blog in the series The Books that Have Made Me a Writer comes from oncology nurse and speculative fiction writer Michelle Tang. 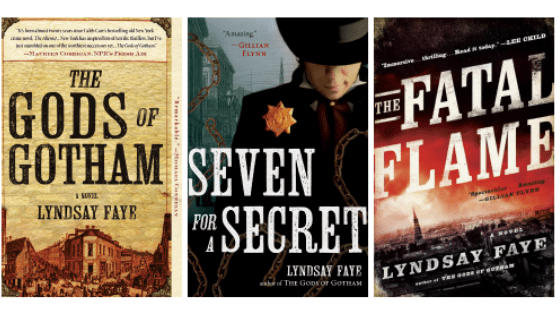 This book review brings in the three books/series that as comic fantasy, fantasy, and suspenseful historical crime fiction, have been pivotal in influencing and shaping Michelle’s approach to story, tone, humor, lyricism, and genre. I discovered Sir Terry Pratchett in my early twenties and lamented the late introduction. Up until then I had been reading dark thrillers, high fantasy, and other genre fiction of a decidedly serious tone. My writing attempted to match these books: I too wrote with such seriousness (read: pompous self-importance), I became burdened with the weight and tone of my words to the point where I got bored with my own stories. 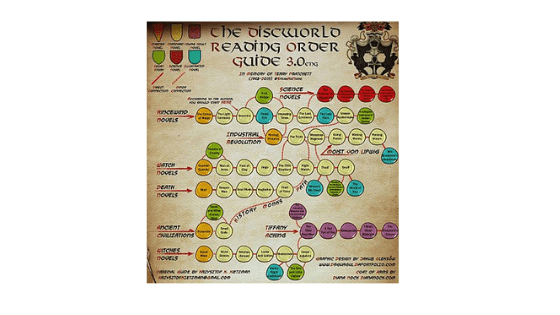 Finding Pratchett’s Discworld books remains one of my fondest memories. Here was an author who demonstrated a high level of skill in the craft, able to convey character, mood, and setting with conciseness, wrote sharp and clever banter with distinct voices, who also bent these same words to create a set up for a joke later on. He made the work seem effortless, and to read (and re-read) such light fare was easy. The introduction of humour (and footnotes) in a book, particularly in a fantasy genre, was an eye-opener for me, and helped me to find my writing voice; the memory of those dark, brooding works I had set aside are all that remain of my futile efforts to match the tones of the earlier books, when my natural voice is one that is much lighter. Witches Abroad is especially educational for me as the three unworldly (with the dubious exception of Nanny Ogg) witches travel the Discworld, exploring fictional but familiar cultures, and Pratchett makes satirical observations about the societies while never coming across as disrespectful. This book made me realize I was a coward. Admittedly, I went into it thinking it would just be a long movie spoiler, but the sheer beauty of the work rocked me. It hasn’t happened with any other novel before or since, but I had chills whenever I came across a particularly beautiful phrase, or a powerful description. The plot itself is good, the characters are solid, but the prose of this book and the sheer emotion it evoked in me was mind-blowing. I’m not sure why it had the effect that it did, nor why I was surprised that a book could be so lyrical and poetic, but I will say that the power of the words scared me. I read the book with tears in my eyes nearly the whole time. After I finished it, though I still think of it often, I cannot bring myself to read it again. I don’t know if I’m afraid to go through the emotional experience again, or worse, to read it only to find it has lost its magic, but either way, the book stays untouched. I can only marvel that writers such as these exist, using English words that I might use, but placed in such a precise way that a magical spell is cast that lasts 315 pages. I was reluctant to read the first book of the trilogy, The Gods of Gotham, because it was set in 1840’s New York, which seemed a bit too grim and heavy for my taste (given the extreme poverty, racism, sexism, brutality that was often the norm at that time). However, Faye had won me over with her first novel, Dust and Shadow (which set Sherlock Holmes on the trail of Jack the Ripper), and so I gave The Gods of Gotham a chance. This book, and the other two books that followed, were unforgettable. 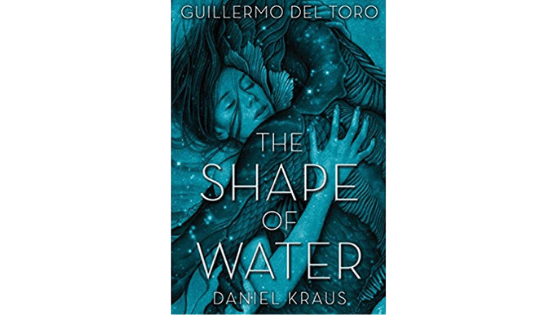 Yes, the tone of the trilogy is dark, and many bad things happen over the course of the stories, but after reading dozens of other books a year later, this is the story that is still haunting me. Everything worked for me in this trilogy: the prose was beautiful, the characters absolutely complicated and tragic and compelling, and the plot was realistic and rich with detail. Because Faye was a relatively new writer at the time of writing this book (she’d published her first novel 2009 and this one in 2012), her skill level and my enjoyment of her work was hugely demotivating for me: is that the ability a new writer should have? I felt better when I found out The Gods of Gotham was nominated for an Edgar award and was named ‘The Year’s Best Mystery Novel” by the American Library Association, proving Faye’s book was abnormally good. I often think of the balance between detail and lyricism Faye maintains in her works: enough minutiae to paint a convincing historical setting without slowing the story down or losing the flow of the narrator’s voice. Michelle Tang is an oncology nurse by day and a sleepless mother by night. She is a fan of speculative fiction and is busy completing a novel with the support of the other writers in the Advanced Manuscript Workshop at One Lit Place. Michelle is a fan of Muay Thai kickboxing when she isn’t pounding words into submission and lives in Toronto, Ontario. Hi Michelle-How thrilled I was to read of another kindred spirit nurse/writer. In my experience as L&D, Postpartum nurse I think it’s rare to find a nurse who is passionate about writing. I would love to hear your thoughts on this subject. Another nurse/writer in the wild! I’ve always thought of nurses as liminal characters, often acting as guardians or gatekeepers between extremes of life stages. We see so much of the human condition and have interacted with so many ‘characters’ that more of us should be writing; I’ve often heard it said that nurses ‘have the best stories’. I’ve really enjoyed the manuscript writing class. As far as I know, it’s completely unique – I’ve searched online for a place to workshop my manuscript and I’ve either found novel-writing classes which do not give a lot of feedback on your own WIP, or writing groups that are more casual in their meetings and attendance. In this small-sized class, we’re all held accountable – if you don’t submit as scheduled then there is nothing for the group to discuss. Talk about motivation to stay productive! You also ask about craft; in my opinion, there is no better way to improve your own writing than to read/critique other works and to learn from the feedback of other writers. In addition, every week we video chat as a group, with Jenna as an additional resource, and there we can troubleshoot parts of our projects that we are struggling with. I just submitted the last section of my novel today and am waiting to hear from the other writers if the twist I’ve written worked! I’m actually hoping to take the manuscript writing class again in the Fall (if there’s space and Jenna isn’t sick of me), so it would be great if we were in the same session, since the novel I’d like to workshop is about a nurse and I’d love another nurse’s take on it. Regardless, I think you’ll find the class as great an experience as I have. Thanks so much for commenting, Maurene, and hope to see you on the One Lit Place online classroom sometime.